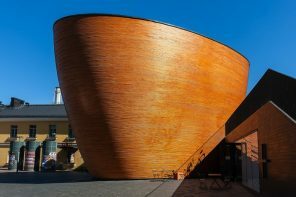 Whether you’re looking to splash out on cutting-edge architecture and design, or hunker down in a simple back-to-nature retreat, Norway has so many fantastic and unusual places to stay. 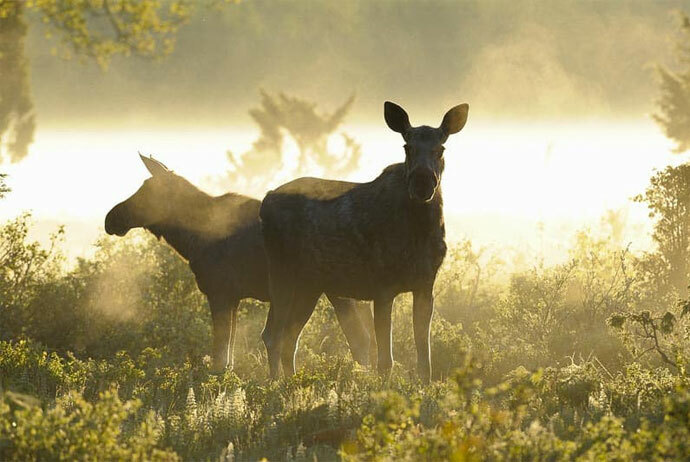 This guide rounds up some of Norway’s best places to bed down for the night. 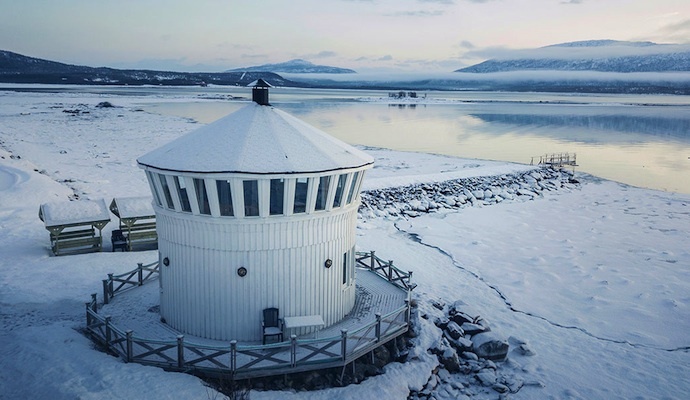 From converted lighthouses to igloos, and beautifully refurbished old barns to cantilevered cabins suspended over precipitous drops, they all offer something unique. Fancy a night in an igloo? 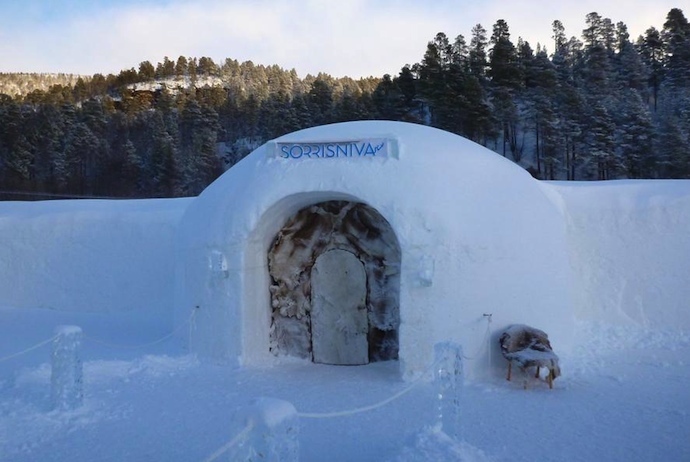 The world’s most northerly ice hotel, Sorrisniva Igloo Hotel is rebuilt every year on the banks of the river Alta, about 20 minutes from the town of Alta. Each winter, the hotel has a slightly different design with new ice sculptures made by local artists and craftsmen. The rooms (and even the beds!) are made out of ice, of course, but you’re provided with a thick mattress, reindeer hides and extreme-weather sleeping bags, so you should be cosy at night. And if you need to warm up, a morning sauna session is included in the room rate. There aren’t many places where you can lie in bed and enjoy 360-degree views with your morning cup of tea. 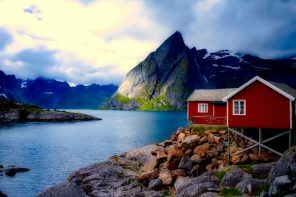 But the lighthouse on the island of Senja is one, with its fantastic panoramas over the coast and the wild landscape of the district of Tranøy. 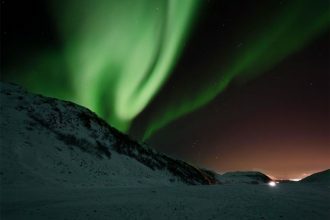 In summer, you can swim, kayak and fish from just outside your front door, while in winter you don’t even need to leave your bed to enjoy the northern lights dancing in the night skies. 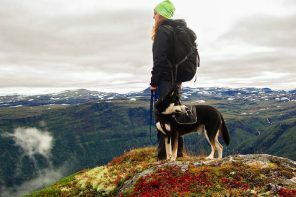 And if you get bored of sitting on the deck taking in the sights, there are plenty of local mountain hikes and activities such as husky-sledging. Half-treehouse, half-suspended cabin – however you describe this tiny retreat in the woods, it’s a real-back to-nature experience. 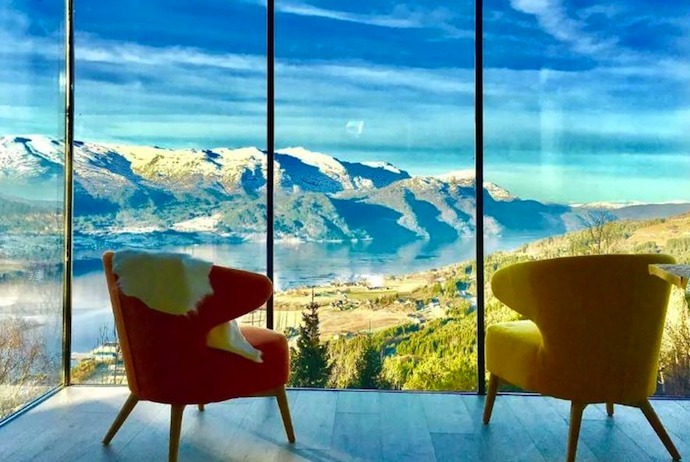 It may be basic, but its views over the Gloppenfjorden and the majestic mountains through floor-to-ceiling windows are virtually unbeatable. There’s no shower (you can use one at the nearby hotel) or running water and you’ll have to bring all your food and drink with you, but none of this matters once you’ve settled into a comfy chair to watch the sunset with a glass of wine in hand. 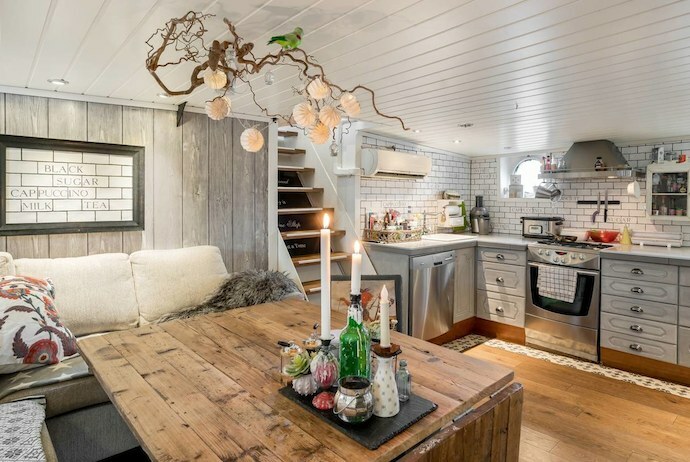 Hang out on a houseboat moored off the island of Hundvåg. Although surrounded by the sea and nature, the boat is just a 20-minute walk from the centre of Stavanger. 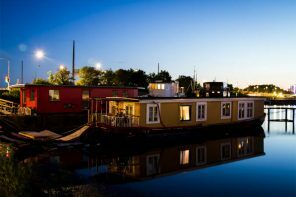 It may be 60 years old, but the boat has been beautifully renovated with wooden floors, a stylish kitchen, roaring fire and huge flatscreen TV. There’s a comfortable deck, with a barbecue, where you can kick back with a drink. You can swim in the sea from here, or if you’d rather, borrow the dinghy and head off to explore the local coastline. 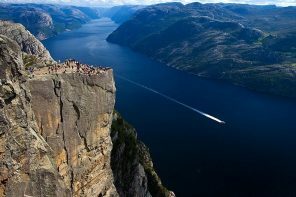 If you get bored of the local surroundings, the owners will up anchor and drive the entire houseboat out to view the awe-inspiring Pulpit Rock (for an extra charge). 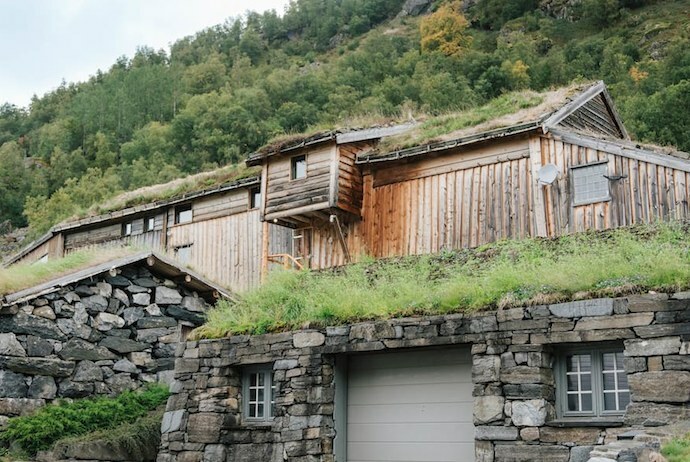 Well, it may be an old barn, with a turf roof and timber walls, but inside it’s the epitome of stylish Scandi design. This 19th-century farm outbuilding has been lovingly renovated using local materials and fits beautifully into the surrounding landscape. 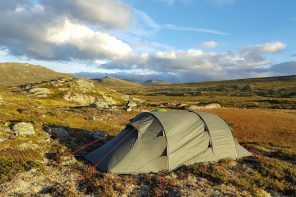 In winter, you can hole up by the wood burner after a day on the nearby ski slopes, while in summer there are some great hikes nearby, including over to Trolltunga. 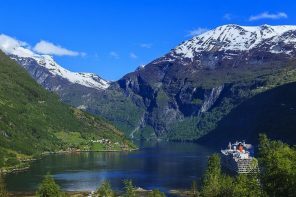 Though you may not want to move from the terrace with its far-reaching views over the Røldalsvatnet. Hang out by the fjord – literally – in these beautifully designed wooden sea cabins. 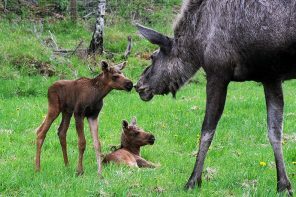 They’re on the tiny island of Manshausen, in the middle of the Grøtøya straits, a short boat trip from the village of Nordskot. 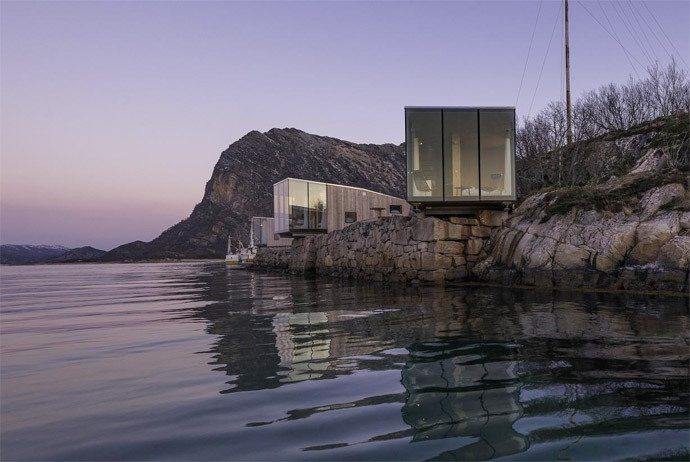 The eco-friendly cabins are designed by architect Snorre Stinessen with a glass box that juts out over the water, so that you feel you’re floating above the sea. 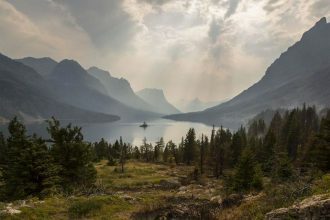 Each cabin has its own deck – and there’s a lovely communal outdoor hot tub, a sauna and a damned seawater pool to leap into if you get too hot. 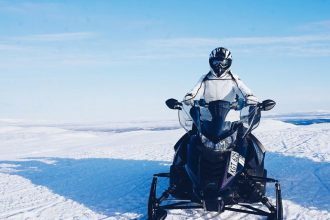 For more of our favourite accommodation choices in Norway, check out our Best places to stay in Scandinavia guide.